James Spader Gives His Notice at "The Office"
James Spader's Robert California, who temporarily replaced Steve Carell's Michael Scott at the helm of the Dunder Mifflin "Office," won't be back next year. 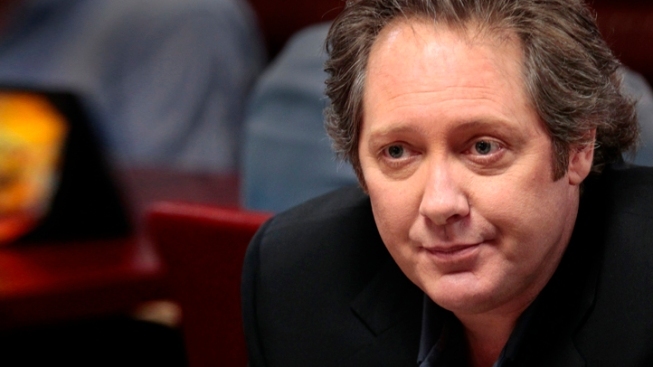 Robert California isn't sticking around much longer at "The Office." Actor James Spader's stay at "The Office" will be short. NBC said Monday that Spader, who appeared in last season's finale and more this year as the oddball boss Robert California, won't be back next year. NBC sought his star power to help make up for the absence of Steve Carell, who left the Thursday night comedy last spring. Paul Lieberstein, the show's executive producer, said NBC's initial commitment to Spader was only for last year's finale. But he said Spader's scenes proved so compelling "that those two scenes became a season." Lieberstein said Spader never wanted to stay beyond this year.